Tommy Lasorda, the mythical former manager of the Los Angeles Dodgers, has been hospitalized, according to the Orange County Register. Lasorda, who is 89 years old, is best known for the 20 seasons he spent coaching the Dodgers, including a pair of World Series pennant wins in 1981 and 1988. Details as to what Lasorda has been hospitalized are being kept private, though the Register reports that Lasorda has spent several days in the intensive care unit of a Los Angeles area hospital. As Dodgers spokesperson Steve Brener said to the Los Angeles Times, Lasorda is "resting comfortably." Though Lasorda has been out and about plenty in the past year—he was present when the Jackie Robinson statue was unveiled at Dodger Stadium in April, and was present for the May 3 ceremony to commemorate Vin Scully&apos;s microphone—he has likewise spent periods of time in the hospital. Back in 2012, Lasorda suffered a minor heart attack. Lasorda has remained an active part of the Dodger organization since he formally retired as their manager in 1996. Since then, Lasorda as served with the Dodgers as an interim general manager, advisor, and ambassador. At present, Lasorda is a special advisor to Dodgers organization&apos;s chairman. "He means a lot, not only to me personally but to the coaches, players and obviously the players and the city," said current Dodgers manager Dave Roberts to ESPN. "I consider him a friend. He&apos;s helped me along the way and supported me, rode me a little when I needed it. Given me a hard time, which is great. To see him in the clubhouse, in my office, watching batting practice is always nice. We can&apos;t wait to get him back out here." 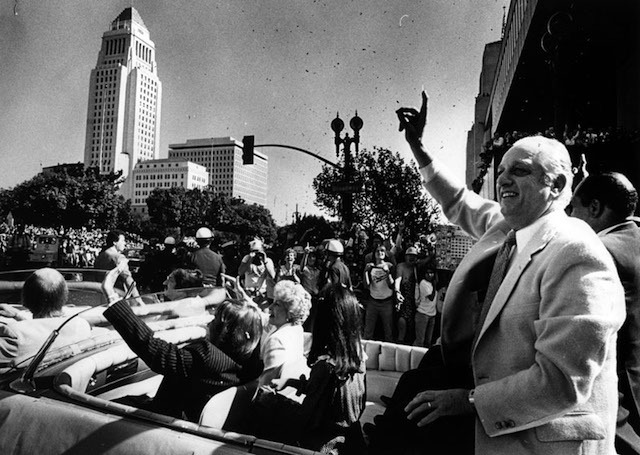 Lasorda managed the Dodgers for 20 years, between 1976 and 1996. He was inducted into the baseball hall of fame in 1997.